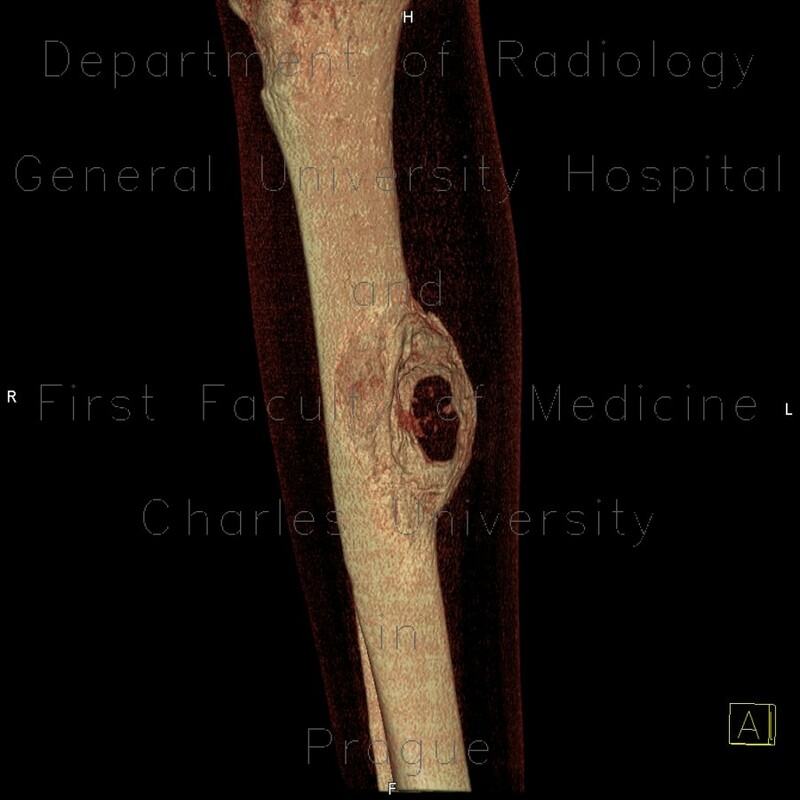 CT of the right tibia shows a soft tissue lesion aroding the cortical part of the bone with massive periosteal reaction. This was a metastasis of a multiple myeloma. Bone scan shows its location in the right shin.